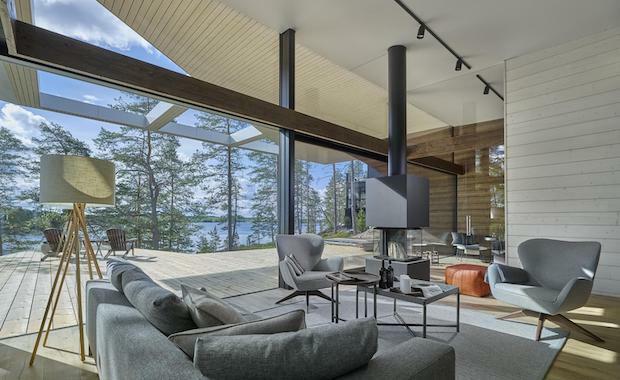 Are you having a hard time thinking of a design for your cabin-by-the-lake home? Why not look to nature for inspiration? 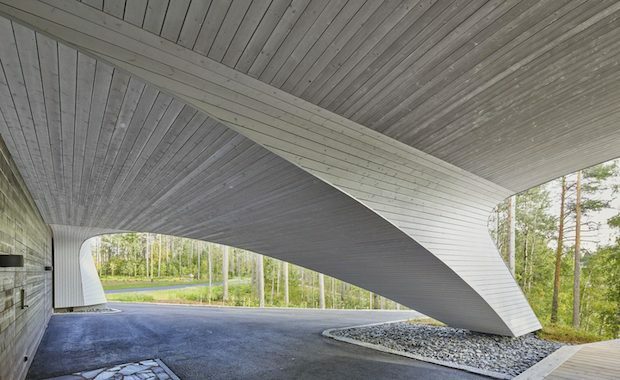 This was what gave a Finnish Architect the idea for an awe-inspiring design. The Wave House not only overlooks a beautiful lake, but it imitates the gentle flowing waves of water. 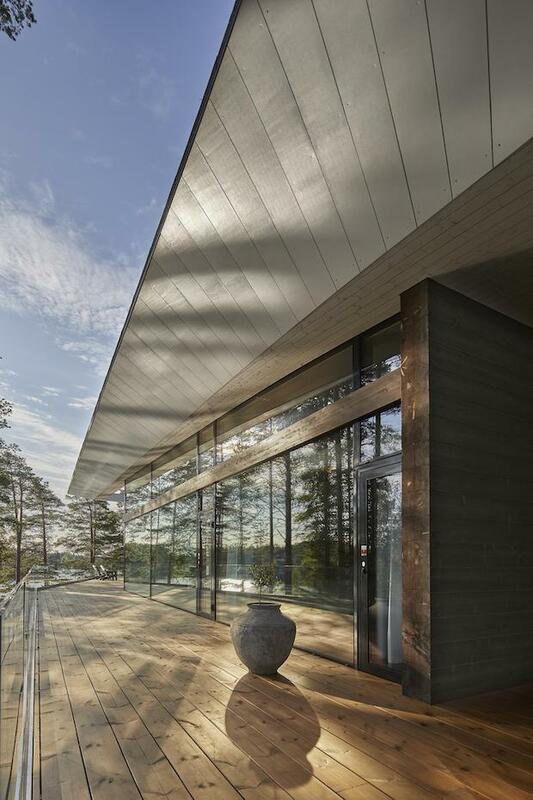 The home features glass walls offering unobstructed views of the beautiful surrounding views. There’s an open-air deck with an extended observation area. Here you can enjoy a closer look of the lake and wooded landscape. The overall design of the home puts emphasis on openness. It also takes advantage of the scenic views. Consider these design choices to really bring out the full potential of your future cabin by the lake. 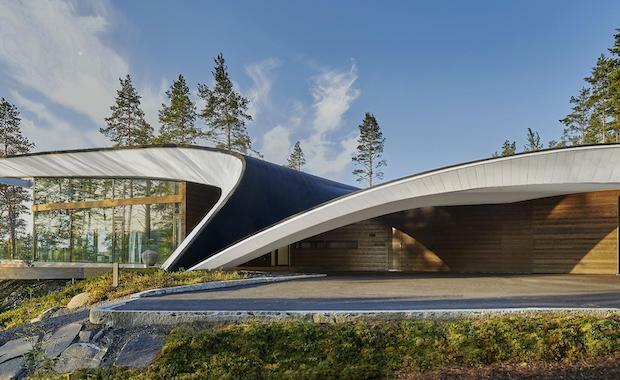 Finnish architect Seppo Mäntylä has designed an undulating wood and glass family home. 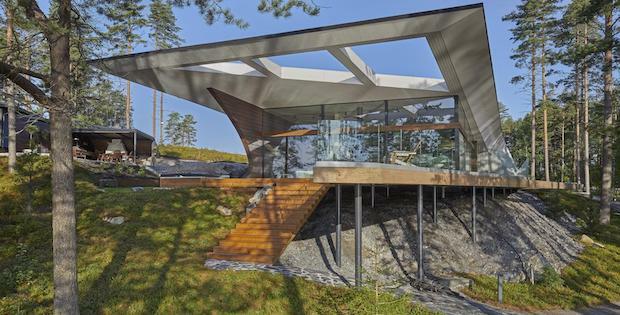 Suitably titled the ‘Wave House’, the building overlooks a lake beside the town of Mikkeli in the east of Finland.